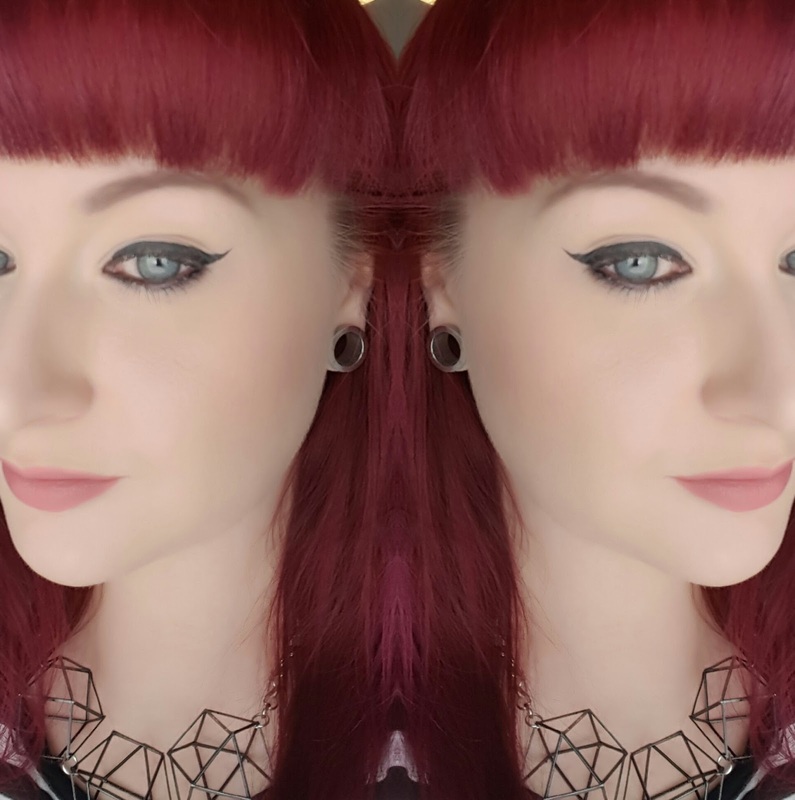 I have a few liners that I adore; Illamasqua Precision Ink (here) is my all time favourite but it can be a little fiddly, Kat Von D Tattoo Liner is another but can be hard to get a hold of in the UK. I'm forever buying new liners to try out and the latest to my collection is this Soap & Glory offering: SUPERCAT. I'm a huge Soap & Glory fan as you may have already seen in my previous posts but I'm quite new to their cosmetics range so I picked up this as a little lunchtime beauty treat one day - as I had left the house without eye-makeup and everyone kept commenting on how ill I looked. A quick sweep of liner always sorts out "sick-face" y'see. Coming in at a middle-of-the-range £6.00, exclusively from Boots - I didn't have the highest of hopes for this liner but I was hoping it would save me from a few more dreaded " are you ok? 's in the afternoon. SUPERCAT is a felt tip style liner - one of my favourites! I mean, I love gel liners but ain't nobody got time for that at 6.45am...or in my case, 1.50pm in the office loo's, attempting to look human. The nib on the liner is pretty flexible and it took me a few go's to get used to creating a decent winged look - practice makes perfect with all new liners but it does have a nice fine tip which helps you get there. Colour-wise Carbon Black is pretty dark and opaque but it's not the blackest of black I've ever used. It takes a few swipes to build up the bold look I usually go for. I suffer with those dreaded hooded AND oily lids and therefore I want my eyeliner to work quite hard for me. SUPERCAT get's there but doesn't quite cross the finish line in my opinion. For £6.00 SUPERCAT is a decent enough liner for your everyday look, it's buildable and flexible but I want more. To get the look I want, I found I had to seal this liner with some black shadow to stop it transferring onto my top lids. Now there's nothing wrong with it once sealed, I'm just lazy girl y'see, I don't want to have to double up on products. Would I buy it again? Probably not. It's not terrible, but it's certainly not wonderful either. It's the type of product you'll pick up when it's on 3 for 2 and give it a go but really, who wants to have to seal their eyeliner with shadow and hope the rain doesn't wash it off? I wanted to like this liner SO much and I am a huge fan of Soap & Glory but it just didn't cut it. Have you tried any other products from the Soap & Glory cosmetics range? I think I prefer to buy their shower gel, shampoo etc. rather than their make up. Oily and hooded girls unite! I had an S&G eyebrow wax/tint double-ended pen thingy that I used to love but now I have blue hair it's tricky to find stuff to do my brows with!